Wow. 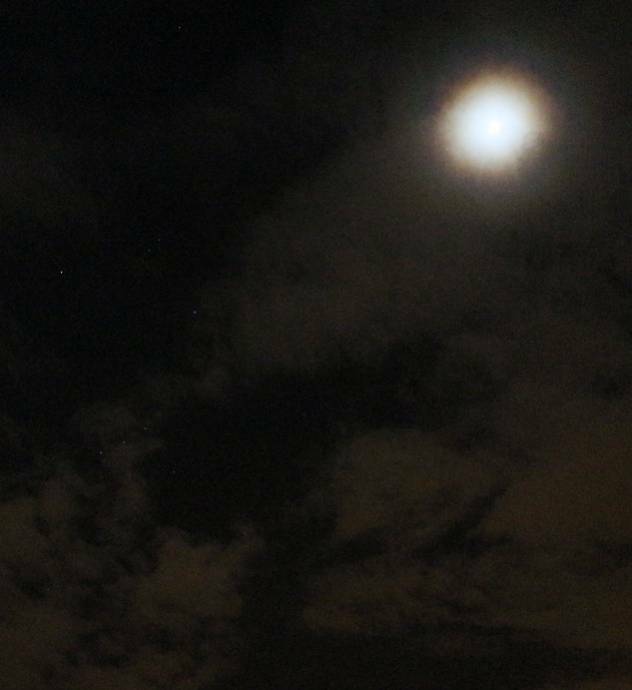 I just spotted Orion and the Moon through my window. A HUGE event. The thing is, it's three weeks since I last saw any celestial body (including the sun) and this is the third time this year I see anything. To summarise the year so far: Thick fog 45% of the time, overcast (when not foggy) 50% of the time, 5% some clear sky. Still only 19 hours of sunshine this year, possibly in for a boost tomorrow. It feels like I've been in a submarine for months now briefly at the surface. Why moon is so blurry? What is diameter of you telescope? Well, first of all, it's a webcam so it is terrible to focus perfectly. Normally, you'd get sharp images by stacking many images together. Through normal oculars, you'd get a perfect sharp view. The reason the photo's are blurry is because it's kinda difficult to hold the camera still in your hands. I have a Celestron C8. Lens diameter is 203.2mm. You must fix camera on your scope. It will be even better if you remove camera's lens and fix it instead of eyepiece, ie its matrix must be in the focal plane of telescope's mirror. Images from this article (Russian). Yeah, thse were mostly tryouts. I just wanted to shoot some pictures. As for the webcam, I use the NexImage 5 and I'll just need to try out a lot of things. I need to find some proper tutorials on astrophotography, but for now, I find my pictures a nice start. Let's hope I can get them as great as the examples you've showed! My first try of video capture and further processing. Today Moon captured by Canon PowerShot SX130 IS - only optical 12x and digital 4x zoom. Recording a set of 30 single shots with 4000 x 3000 resolution (it have better quality than video). 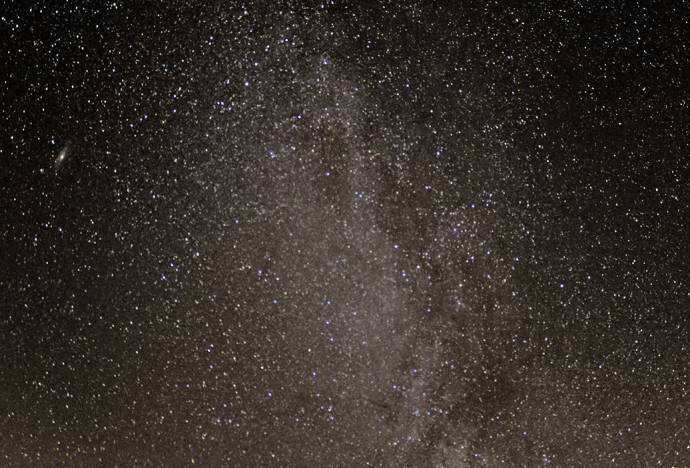 Image alignment, stacking and wavelet sharpening in RegiStax 6. I wish I knew how to do that. That is amazing. 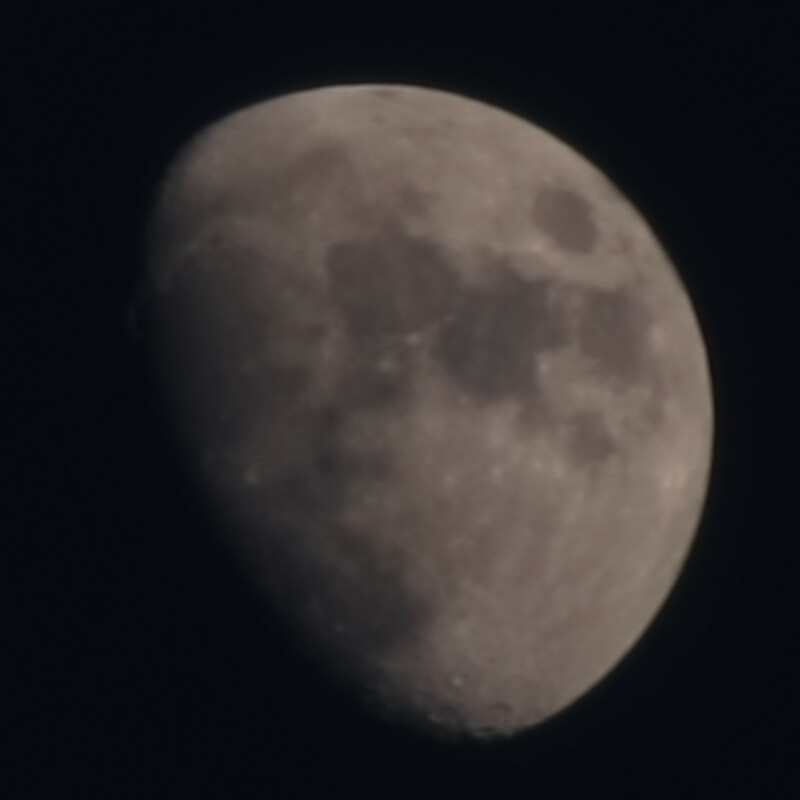 I tried using Registax 6 as well, but it only made it more blurry. I lack any knowledge of it and the tutorial on their website is not clear. 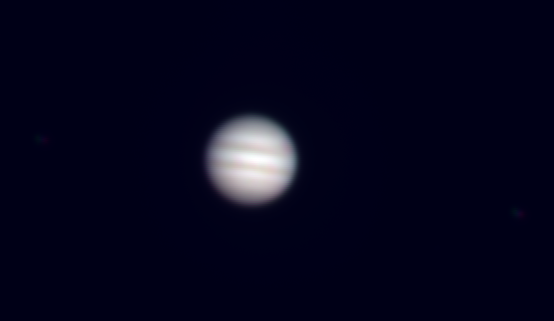 Jupiter 12/03/2014 through 16" MEADE LX-200 with DSI-II Pro CCD camera. 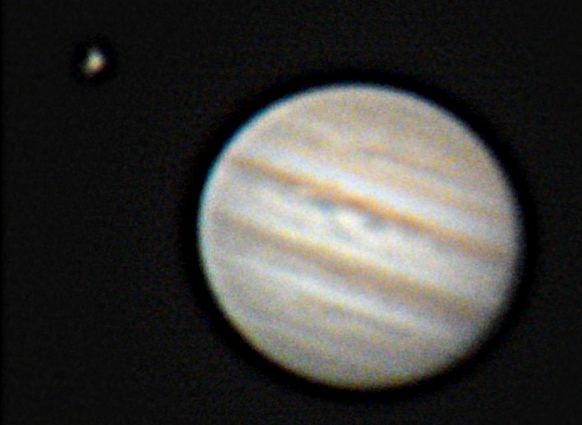 Io and Ganymede are visible in left and right to Jupiter. I really needed a 2-3x Barlow lens, and better CCD. This one it is not good for planets imaging. Wow, that's really good, especially for cell-phoning it. 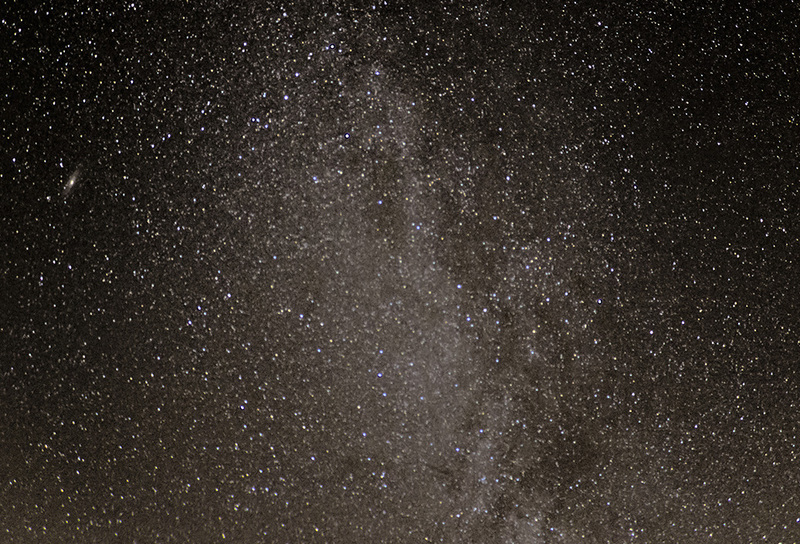 A random photo from the milky way (stack of 4images) which isnt that great because of the heavy light pollution. Its a bit out of focus too. 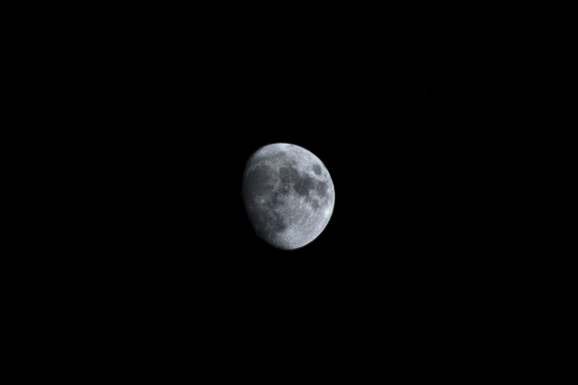 And a test photo from moon. My english grammar is horrible, sorry. That's pretty nice! 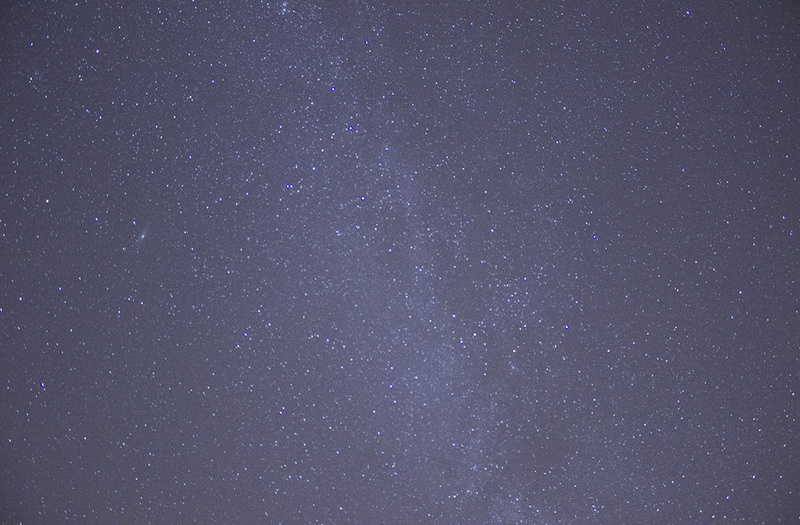 Especially if you have light pollution. I can't take images like that where i live right now. What camera setup did you use? I use eos 600d with 18-55mm f3,5 lens and a tripod, of course. Heres one of the original photos. That's about the same as mine. I have an EOS 650D.